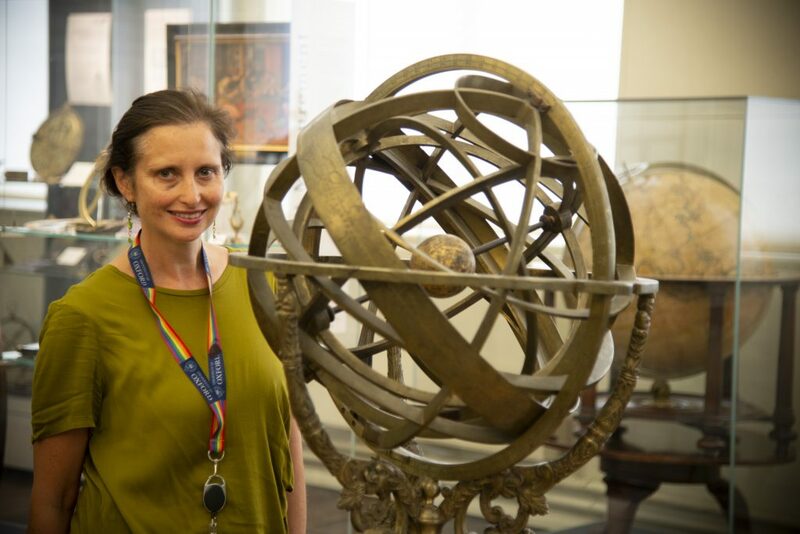 Helen Pooley, the Museum’s Primary Education Officer, tells us about her favourite object, an armillary sphere once owned by an Earl. 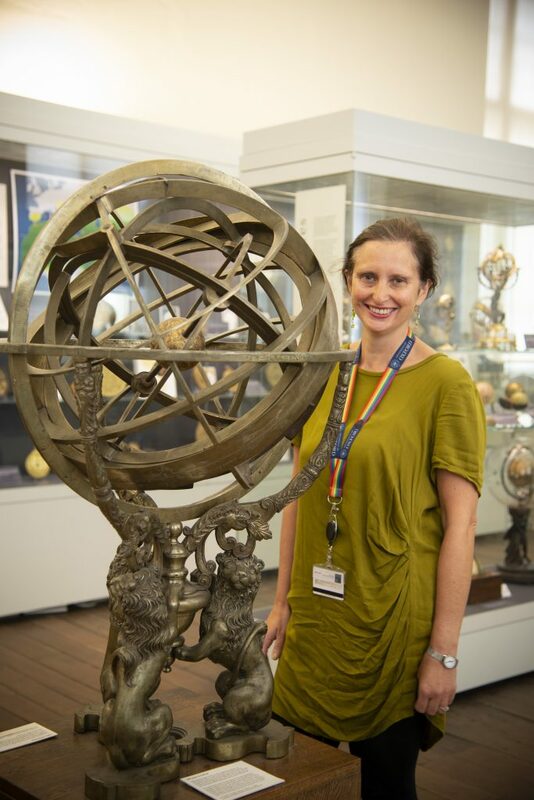 You can’t really miss the armillary sphere, which boasts a central spot in the Top Floor in the Museum. The kind of scientific instrument you might expect to find on the opening sequence of Dr Who or the Game of Thrones, it is in fact a model of the Ptolemaic universe. A large object, it comprises a sphere (representing stationary Earth) surrounded by rings (representing the heavens) mounted on three imposing lions. Beautiful, but also functional. Closer inspection reveals images of the zodiac, the points of the compass in their Latin form, a number scale and curious human forms. The pathway of the sun, as it travels through the constellations of the zodiac, is represented by a broad band encircling the sphere. School children often ask me what sort of person owned this amazing object. It’s always fun telling them about the owner Henry Percy, the 9th Earl of Northumberland, also known as the Wizard Earl. Percy was imprisoned in the Tower of London owing to his suspected involvement in the Gunpowder Plot of 1605. But, that didn’t prevent him from pursuing his scientific interests. One visitor to the Tower describes finding him ‘engaged in mysterious rites’ involving crucibles and a zodiac table suspended from walls, revolving celestial globes and a human skeleton holding an hour glass in its hand! I find the sphere intriguing as a working mathematical model and as a work of art – but also as a wonderful connection to a mysterious figure from the past.